Pura Vida Bracelets Club – New Subscription Box Launch! Thanks to Zebragirl for letting us know about this new subscription box from Pura Vida Bracelets! What do you think of this new subscription? Would you like to see it reviewed? I love PV! I have many of their hair ties and headbands which I use all of the time. I love how their hair ties double as cute bracelets. This subscription is definitely on my wish list! I already own several of Pura Vida’s bracelets so this subscription is a no brainer! Their bracelets are very well made and beautiful. I am excited to receive more bracelets! I’ve got a ton of these bracelets I’ve bought over the last year when they have sales. I LOVE them. I saw a while back they were doing a sub and I was quite tempted. But I like to pick the ones I get. Anyone who has these bracelets can you tell me if they would fit bigger wrists? Or are they pretty small? They’ll definitely fit, they’re adjustable. They fit me, I usually wear an 8 inch bracelet. I usually tie new knots in mine and cut off the extra string because I have small wrists, so I think that they would definitely work for larger wrists. Got mine a few weeks ago and love it ? Alright…. I’m 39, I remember making similar ‘friendship’ bracelets in high school and wearing them til they fell off because hey, that’s what a good friend I was. I subscribed to this box after reading about it on the forum, got them a few days ago. The required signature confirmation by the way. I’m impressed. I’m crafty, yes I could make something LIKE them, but I can’t do it as well as these are made. They are waxed, they feel durable and worth the $5 price tag, per piece. I also feel pretty trendy wearing them, in style especially for summer. 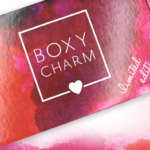 Wrap all that up and include feeling good for promoting a good cause….. I’m sold. I think I’ve gotten one of these in a sub box but can’t remember which one , maybe popsugar they are cute !! With the subscription shipping is free if you live in the United States. I signed up last month and really love this sub. I ordered other things from them. I like the story and cause. I received the three items pictured above. I can share with others as well. Again, love this sub! These are very popular with the high school crowd according to my daughter. Of course, I have some too now. They are well made of waxed string and a portion goes to charity. Love a good cause. I wear them 24/7 beach, pool, shower, etc. would make a cute gift, too. I signed up and already got my first delivery! I was thrilled with what I got, and it was totally worth the 15 dollars. The bracelets are very high quality, and adorable. I’ve been ordering from them for at least a year and have many of there products 🙂 this might be my new favorite sub box! What kind of bracelets did you receive? I don’t own any Pura Vida but have admired them for a while. Seems like a good way to build a collection! It won’t let me post a picture. But I got a traditional style $5.00 bracelet. A seed bead one which I believe is like $24.00, and a braided one which is $15.00. And they were in corresponding colors. I’m a little obsessed with this style of bracelets- so yes, please review them! I signed up right away. I’ve been wishing for an under $20 sub that wasn’t a beauty box and then this popped up. I’m going to cancel Allure, which has been fine, but nothing special, IMO. This will be a fun change of pace and a good way to build a collection of these bracelets. I like bracelets. But those would be very easy to make (minus the “P” charm, I suppose). I make jewelry and that’s the first thing I thought. But I checked them out, and the bracelets are made in Costa Rica by local artisans who were found by a couple of American college grads on a vacation, so I’m sold. Plus it’s hard to find cute, well-made, and not-little-girly bracelets for summer.